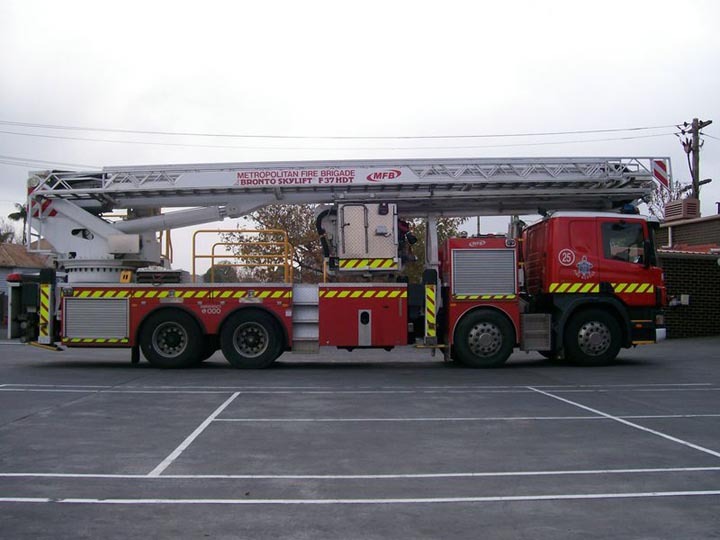 Photos of the MFB's (Metropolitan Fire Brigade) ladder platform 25 at the Oakleigh Fire Station in Melbourne, Victoria. That is one really impressive appliance. Added by Andrew Wright on 07 February 2008.